Over the last week I have attended a Graduate School Office training session for the 3 Minute Thesis (3MT) and a Writing PAD session on infographics in preparation for the Poster Competition. The poster competition is a University-wide event, for which I must create an A1 poster explaining my thesis work in a way that can be understood by a non-specialist audience. 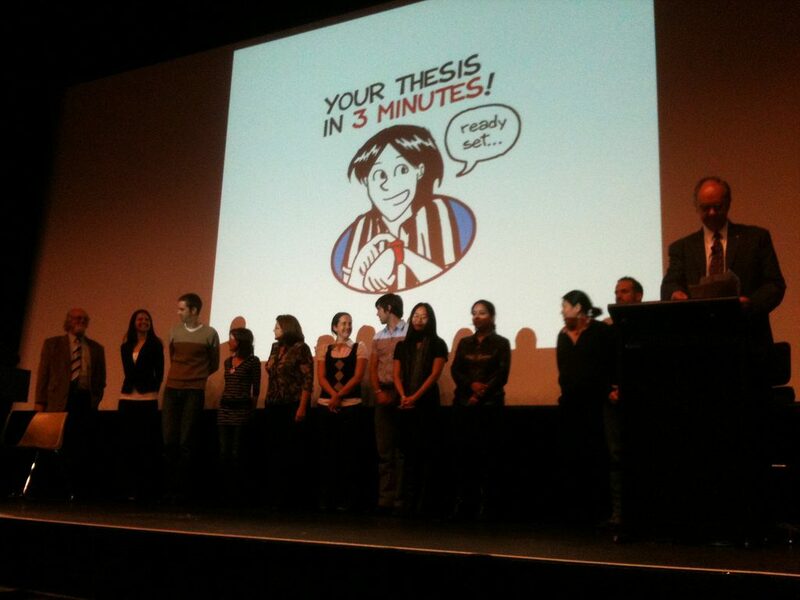 The 3MT is also aimed at non-specialists, but instead of visual communication, focuses on presenting your thesis verbally in under 3 minutes. My reason behind taking part in both competitions is to encourage myself to think in new ways about how to disseminate my work. Having to display work visually, or to explain a complex topic quickly, provides an opportunity to approach ones research from a new perspective. As I am currently in the writing up phase of my PhD, now is the perfect time to engage with opportunities that help me to explain my research more effectively. The sessions I attended gave me some useful guidance specific to the context of the events I will engage in. They also provided me with some more generic advice that I would like to share here. When using visuals to communicate research, they should both engage and explain. When using graphics or diagrams, they should not only be eye-catching, so as to attract attention and entice the audience to read further, but should also add information to the document. Decoration alone is not a sufficient use of visuals within the context that I wish to apply them. Convey your research using a relatable metaphor. Some theses, much like my own, are only directly relevant to a small proportion of society. I would argue that given the need to show originality in our PhD work, this researching within a niche is necessary. It can, however, make it harder to get across to a non-specialist audience why they should care about the research that you have conducted. One way of achieving this is to consider a relatable metaphor for the situation or issue that you are studying, to help an audience understand the value of your study. I’m looking forward to putting together my competition submissions over the next month, and intend to blog more about the process so that I can share it with you. Lucy's Adventures in Ed Tech by Lucy Atkins is licensed under a Creative Commons Attribution-NonCommercial-ShareAlike 4.0 International License.